The experience that never stops giving! The Rotary Club of Ottawa, celebrating its 100th anniversary, has now been engaged in the International Youth Exchange programme for decades. Many host families and counsellors are still in contact with students they invited into their homes, celebrating their milestones and achievements with them. 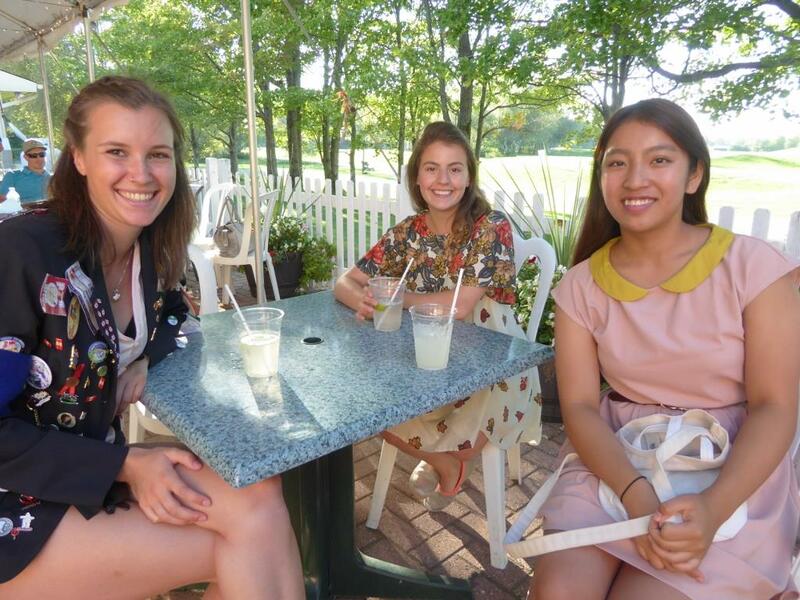 Recently, at our All that Jazz Golf Tournament fundraiser in early September, a former exchange student from Austria joined us and our present exchange student from Japan. Anna Strasser spent her year with the club 6 years ago and is still in contact with many Rotarians. She is pursuing physiotherapy studies in Germany and took a summer break to visit her friends in Ottawa. She brought along her old school friend, Rana, who was delighted with the welcome she received in the homes of Rotarians. The two older girls spent time with our present student, Kokoro Nakayama, from Japan during the fundraiser dinner, after having helped out during the day at the tournament. At the invitation of the organizer, Rotarian Alan Acton, Anna spoke to those gathered about her experience in Ottawa. She was proudly sporting her exchange jacket covered with dozens of pins. During that year she made friends at school with whom she remains in contact, she learned to camp, navigate the bus system, became part of her school community and became self reliant. She matured and gained confidence in herself to the point where she now stands up anywhere and talks about what Rotary has to offer young people. Anna reaffirmed what we know...that this programme is life-altering for all who participate in it.